My experience as a Young Entrepreneur started in the October of 2016 in Rotterdam, a incredibly welcoming city, and was concluded after three months of collaboration with Mr. Remko Remijnse, in 2by4-architects office; collaboration that I can describe as intense, active and mutually successful. 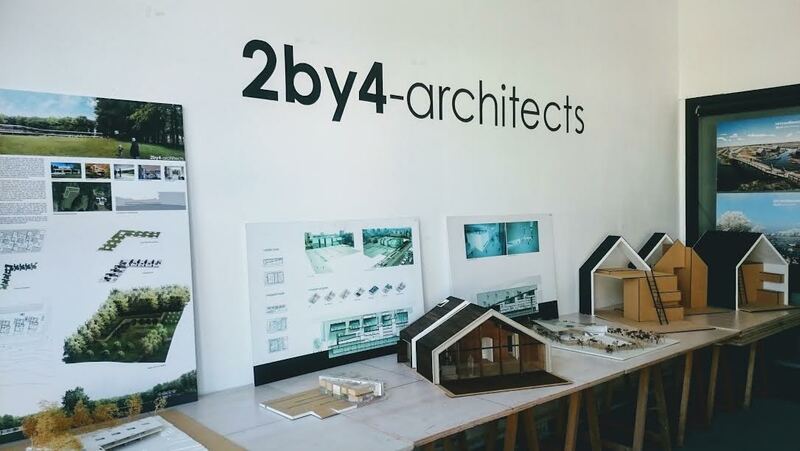 Since my first week in 2by4 – architects I have been put in a position of responsibility, dealing with all the ongoing projects of the office at that time. I can say I have been very lucky as I arrived in a very productive moment for the office, so even in a quite short time I had the opportunity to deal with lots of different issues due to the various phases in which the projects were located at the time of my stay. I could work on projects that were different in scale and phase: a Recreational Villa on the island of Terschelling, in detailing phase and currently going towards construction, another house in Stokkum, in definitive design phase and currently in building permit process, a Sustainable Harbor development in Vinkeveen, and two healthcare complexes, a Masterplan Healthcare and Housing in Boerhaave in Haarlem, in sketch design phase and the other one, a Housing project for Intellectually Disabled in Vlissingen, in preliminary design phase. I can say that I am positively surprised by the amount of information and new skills that I have been able to gain in such a short amount of time, and on the other hand I believe that with a bit more time I could have learnt even more, in particular from the Construction Phase of one of the projects. I am happy to be able to feel that I also gave something to the office in exchange of all that I gained; I helped introducing the use of a new software and to revisit the organization of the server structure, small changes that significantly increased the productivity. During the collaboration I also dealt with something completely new for me, not just managing autonomously my work, even though always under a careful and constant monitoring by Mr Remijnse, but also learning how to manage other people’s work; how to take in account different timing, mindset, organization aiming to obtain the best final product in the shortest amount of time possible. I understood how hard running an office might be, not only from an economical point of view, but also, and in particular from the management of time, workload and human resources. I guess this is something in which the experience is really the key, the capability of looking forward, to foresee how much time and energy a job is going to require is something difficult to teach, something you need to learn with patience and some mistake, hopefully not too many.